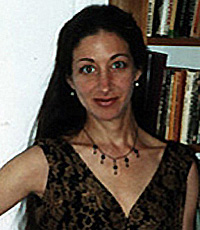 Award-winning writer Abigail R. Esman worked with Dutch politician Ayaan Hirsi Ali on the project "Submission," a film about the abuse of Muslim women which resulted in the brutal murder of its producer, Theo van Gogh, by an Islamic militant group in the Netherlands - and a note promising that Hirsi Ali would be next. An expert on the rise of Islamic jihad in the West and on domestic violence (she is herself a survivor), Esman argues that terrorism begins in the home: to defend ourselves, we in the West must force a change within the Muslim family culture. From suicide bombings to ritual beheadings and airplanes made into missiles, the toxic combination of religious orthodoxy and family violence has made victims of men, women and children as much in Muslim homes as in our own.